Each year, Lyon is welcoming around 16 000 international students! 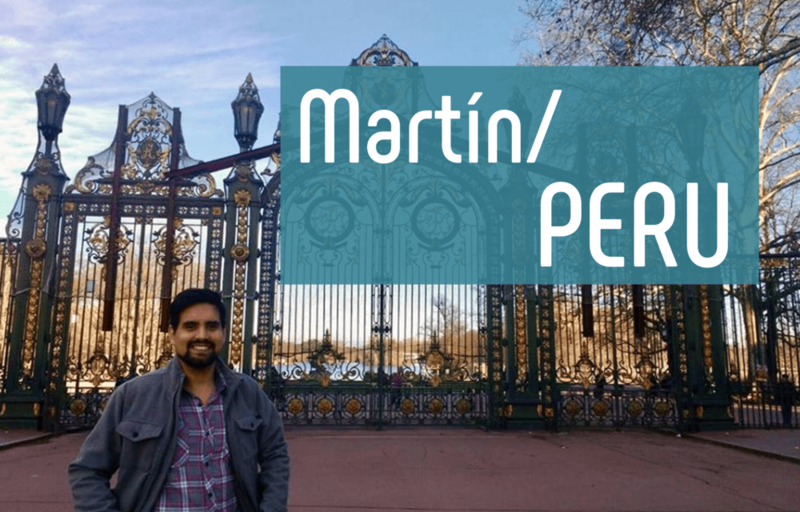 Let’s talk with two of them, Martín and Girish, who both never left Lyon! I came to finish my bachelor’s studies in philosophy in Lyon III. Then I stayed to study a Master. Yes, it was the first time I ever visited France. I liked it very much because in Lyon I could find everything that I needed. There was a lot of other foreign students and also there was a lot of cultural institutions like museums and art galleries, cinemas and historic places like the Roman Theatres. So I was happy to have the chance of living in a city that have such history but also that offers all the services of a modern city. As I said I like the city as a whole, but the balance between a big city and a small one is perfect for me. Lyon is a quite city but it’s not boring, I’m sure that there is a place for everyone. You can chose between an Irish bar to drink a beer and a Latin bar to go dancing. Also you can eat at a high quality gastronomic restaurant like a « Bouchon Lyonnais » (traditional food from Lyon) or a Kebab (fast food) and you will find them both enjoyable. People in Lyon are very gentle, but also multicultural. It means that you will not only find people from all France but also from all over the world. I think that people are a highlight for the city. Cultural and night lives also, Lyon has a very active cultural life. From the MAC (The contemporary arts museum) to the Roman Museum in the ancient theatre, there is always a lot of different arts expositions. If you want to go out, you can go to an electronic party on a boat or a Latin bar where everyone will be dancing salsa. Finally it’s well known in France that Lyon is the gastronomic capital of France, you will be surprise of the variety of restaurants and the quality of some of them. In winter, I love going to the cinema in Bellecour and have a walk in the « rue de la République ». In summer, I love going to the « Parc de Miribel »; which is a large parc where we can go to ride a bicycle, swim, or have a barbecue. It’s a very nice place in summer. I love going to the OL stadium also. For night life my favorites places are the Ninkasi bar in Gerland and the Barrio Club in Brotteaux, two places that you must visit if you come from south America. I’ve travelled to a lot of places in Lyon and in France. The near cities and villages from Lyon are very interesting places that hide a very ancient history. Vienne and Valence are two of them, where you can find ancient Roman Ruins as well as very ancients churches. Near Lyon you can find Pérouges, one of the most beautiful city of France. This city has preserved its medieval look. I spoke a very basic French…actually I really started speaking French here in Lyon. I’ve learnt a lot since I arrived, and basically because of my studies and my friends. One expression that people in Lyon use a lot (sometimes they abuse) is « du coup ». I like it because it’s a very useful expression to get two phrases together but it’s important not to use it all the time, then it begins to be unbearable to the others. I’ve had a lot of anecdotes since I arrived in Lyon, those that have touched me the most are related to people that I’ve encountered. Maybe one of the most important is that since I arrived and I discovered how French people loved so much some aspects of the south American culture, I’ve started to value much more both cultures and to discover in a better way some aspects of my own culture. Learning to live in another culture which speaks another language is a very useful experience to me. It allows you to discover your own identity more deeply but also to better understand and value others identities. I’ve discovered new personal, social and professional abilities that I never thought I had. I came to Lyon in September 2014, and it’s been three and a half years that I am living here. I came to Lyon to pursue my studies in Master’s in Political Science. No, before Lyon I lived in Montpellier for about 4 years, I have learnt French over there. So, it’s been seven years in France. I am used to French culture, more even than French people! My first impression when I arrived in France: I was shocked by the absence of cows on the road, instead of that I found trams! And on the other side, I was happily surprised while discovering the great variety of cheeses and red wines out here. 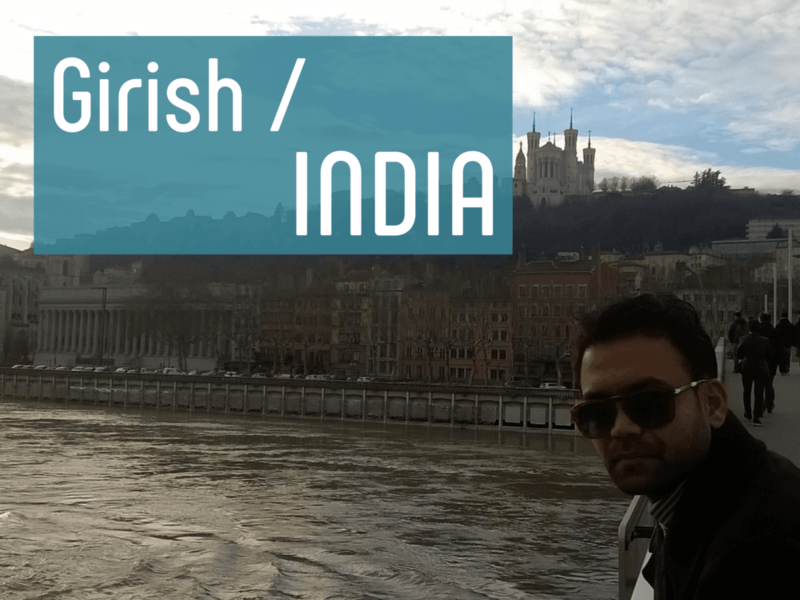 Lyon has an advantage to attract people from every country and every field. It has everything: art, history, nightlife, gastronomy, and a treasure of cultural activities. You never get bored in this city. Cultural life and food are the strongest points of Lyon. Every year lots of painting expositions, a well-known film festival happening here also. I would like to add that one another strong point is cinema, because Lyon played a very important role in the invention of cinema. I love coffee and I live in Lyon, which is a good thing, because you can find there coffee shops every half kilometer. On the other side, Lyon has one of the most beautiful park of France, which is known as « Parc de la tête d’or ». I have been to some popular cities of France, like Montpellier, Marseille, Avignon, Perpignan, Sète, Nimes, Nice, Lille and of course Paris. Every city is known for something special, I can’t describe it through words, it’s so sensual that one have to feel it by his/her own. Yes, I have learnt it for 1 year in a basic French language course. But when I arrived in France, it felt like I did not know any word of French. The first and new word that I learnt in Lyon was « Bichette », it’s not my favorite but it sounds funny. One day, I was in a tram, it was 8 o’clock in the morning. I was tired, was not well woke up and I was falling asleep while going to my work place. Suddenly, an old woman came to sit beside me and greeted me with a discreet smile. Some stops after, she had to get down and before she walked outside the tram she gave me a pastry with a beautiful smile, which made my day and I was awake. I don’t know about the future, but currently its so useful. Even a small experience that you get today, it may be useful to you the next day. PreviousJanuary arrival: settle quickly in Lyon!